The winner of Challenge #14, by random draw for the $15 Gift Certificate is, #16 Crystal! Congratulations to you! Please contact us at the e-mail address located under the "contact" tab in the left sidebar of the blog. The winner of Challenge #14's Spellbinder Prize, by random draw, is #8, Sandy G. Congratulations to you! Please contact us at the e-mail address located under the "contact" tab in the left sidebar of the blog! 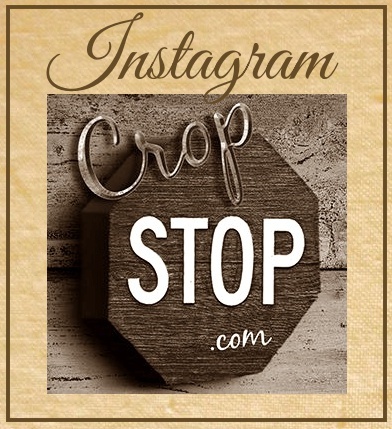 Thanks to everyone that participated in the CropStop Challenge #14. Please see our current challenge for a chance to win a Gift Certificate or Spellbinder Prize. Visit our Creative Team member blogs for more opportunities to win blog candy! oh my goodness! thank you, thank you, thank you! y'all just made my day!! and what beautiful creations from the cream of the crop...such stunning creations! big hugs & love! Wooww being cream of the crop...such an honour. Thank you very very much!!! All other winners of this weeks challenge...congrats!! !